On August 1st, 2012, Slovak parliament was electing a new director general of Radio and Television of Slovakia (RTVS) from among two candidates, Jaroslav Rezník and Václav Mika. Mika, who was behind several successful television and radio projects, was chosen. It was a day when a new chapter in the history of Slovak public TV and radio began. As a new director, Mika met with his new employees, including three reporters who would play important roles a few years later – Dominika Pišťanská, Kristián Čekovský and Zuzana Kovačič Hanzelová. Just like the majority of RTVS junior reporters, Dominika Pišťanská began as a “helfer” (a term used by RTVS for an assistant of a reporter). She started her job a few months before Mika’s arrival. It was her sixth month with RTVS when she witnessed significant changes at various positions within the institution. During a reboot and modernization process of RTVS, a settled team of political reporters abandoned the national television after many years in service. The new management opened the news section to young journalists, including journalism students like her and introduced a new vision of modern public broadcasting. The new management built up a creative environment based on young journalists. Kovačič Hanzelová explains that RTVS had struggled to keep senior reporters in the past. Senior team continuity had been cut by every election of a new director general and subsequent inevitable staff changes. The newly attracted younger generation of reporters on the other hand was more open to learning and accepted transformation quickly. Pišťanská appreciated the new approach. An opportunity was created for young people who wanted to stay, grow and form a new RTVS. Many of those who started in RTVS with Mika’s arrival, stayed there until recently. On June 20th, 2017, Václav Mika’s term of office ended and in the new election of director general, he faced Jaroslav Rezník again. This time, the parliament chose Jaroslav Rezník instead. The media became concerned after the vote. Rezník had served as the director general of the News Agency of the Slovak Republic for many years and was known to have ties to politicians. The result seemed like a possible breaking point for RTVS employees but massive departures did not follow immediately. Staff reporters were waiting to see actions of the new leadership, especially the appointment of a new editor-in-chief. The names came several weeks into Rezník’s office. New leading editors were recruited from amongst press secretaries of governmental institutions. That was the time when Pišťanská decided to leave. She admits that her reasons were mainly of personal nature, however she would have stayed on, had Mika remained in office. Months later she considers her decision to leave as smart. She still cooperates with RTVS as a contractor from time to time. – RTVS after Mika’s departure was like a baby who just learnt to walk, does not fall down, but is still not confident enough to run. More training is needed at such time but it cannot happen because the right people are gone – Pišťanská evaluates RTVS after Mika had left. The newsroom staff stayed cautious. No direct pressure to influence the news was mentioned by the reporters, however a conflict of interest was undeniable. The new management gave no guidance on how head editors who were former governmental press officers should approach topics conflicting with their previous jobs. The radio editor-in-chief Petra Stano Maťašovská, a wife to a deputy of the governmental leading party SMER, provided internal information about the party, unavailable from public sources. Reporters found themselves in uncomfortable situations. They wanted to solve the problem at meetings with the director general, but he did not attend a single one since he had been appointed in August 2017. The lack of communication between the management and the newsroom team peaked in January 2018 when the management decided to stop the only investigative news TV show ‘Reporters’ from broadcast, without any prior discussion with the show’s editors. Jaroslav Rezník also directly intervened to stop Kovačič Hanzelová’s business trip to the Czech Republic during which she was supposed to cover the Czech presidential election. His official statement was that her position was in domestic news, not foreign affairs, and therefore she should not travel for that purpose. The practice in RTVS news had however been that a variety of reporters were involved in foreign reporting trips, not only strictly the foreign affairs reporters. As a possible reason for Hanzelová’s trip cancelation, some reporters mention a rumored complaint coming from the news publishing conglomerate MAFRA, owned by the Czech Prime Minister Andrej Babiš, against Kovačič Hanzelová to produce election coverage on RTVS. The newsroom staff asked Rezník for an internal meeting to explain all misunderstandings. – It was an absurd situation. The general manager lied to 72 employees that my business trip was not connected to MAFRA’s complaint. 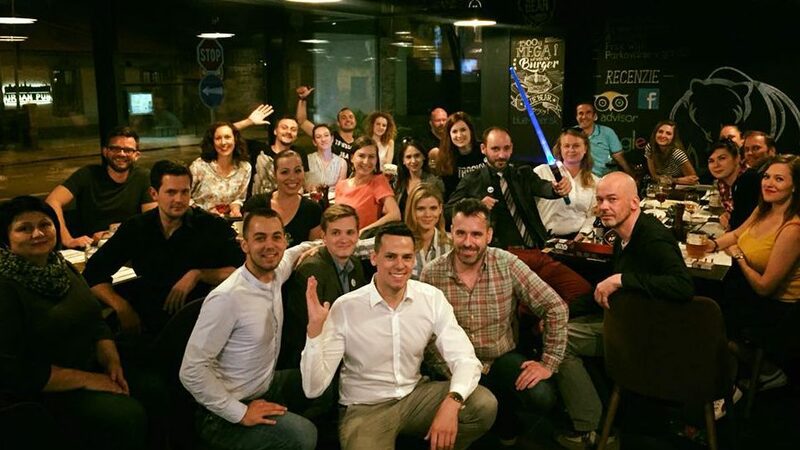 He lied to his own team and people were disappointed – Hanzelová describes the first meeting with the new management after six months of Rezník in the office. – It is very hard to build mutual confidence if the management is lying to our faces in such a trivial situation. It was a three-hour exhausting argument, which led to the resignation of two editors-in-chief. It was a meeting of two different universes which could not consolidate. The January events were however just an indication of more disagreements to follow. In April 2018, Vahram Chuguryan became a new editor-in-chief for radio and television news – the second most important man after the director general, following probably the most dramatic period in RTVS history. 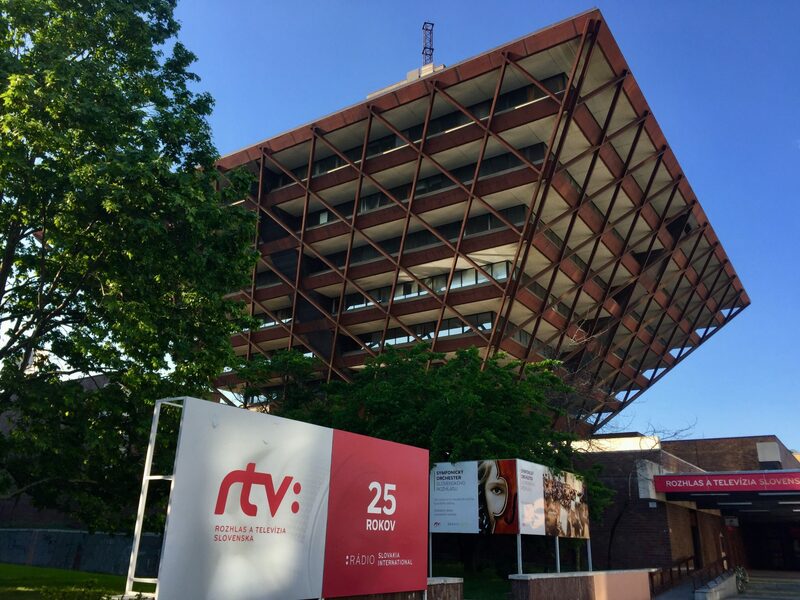 Earlier in April RTVS management announced that they would dissolve the position of Oľga Baková, the editor-in-chief of foreign affairs in Slovak radio. She was an expert in the field and her loss was perceived as significant for the radio. Instead, RTVS started hiring reporters with tendency to pursue alternative news. The newsroom team responded with rejection of the decision and show of solidarity with their colleague. Several employees wrote an open letter to the management and subsequently the RTVS crisis became public with description of hostile atmosphere, firing of high profile reporters and placements of controversial opinion leaders into the newsroom. The management responded to the open letter as a rebellion of smaller, younger part of the newsroom. Kristián Čekovský was one of the reporters who signed the critical open letter. – Everything started at the meeting with management in January. The meeting was an example of our efforts to solve the problems internally. None of the initiators of the meeting leaked any information from the negotiation and disputes during the meeting to the public – he recalls. – But our management lied to us. I stood up and told the general manager that it is a great disappointment and insult for his employees if he thinks that he has idiots in his team. The atmosphere was horrible; they did not persuade us to continue honestly. In three months, Vahram Chuguryan labelled us as politically involved – revolutionary. That was a red line for me. He failed as a manager. 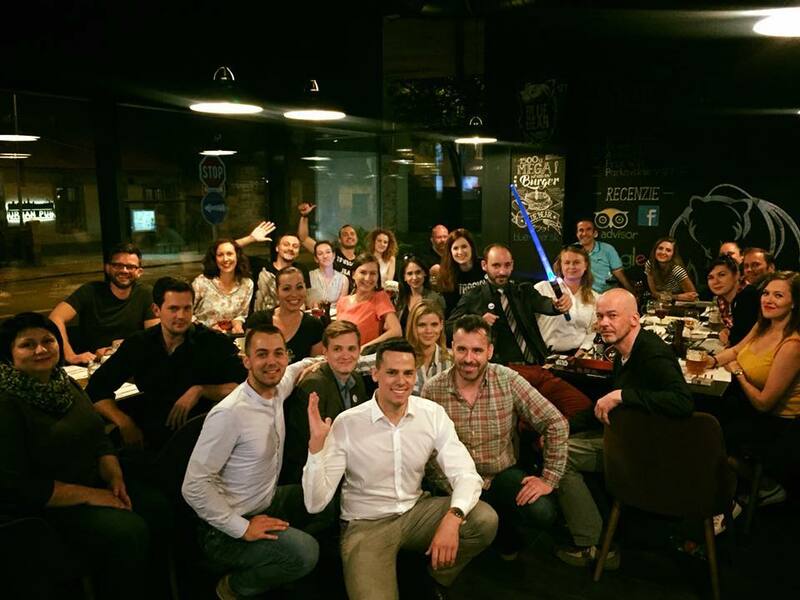 He did not stand for his team; instead he spread harmful emotions – Čekovský describes the atmosphere of last months at RTVS. It did not take long for the management to take practical action against the rebellion. Čekovský and three more reporters were fired on Friday, 27th of April. All of them worked as external contractors, so when their contract period ended, their contracts were simply not prolonged. – We (external reporters –VSquare) knew that we were vulnerable. I worked there for 8 years on the same contract. I did not like how the essential principles of journalism were being broken, so I expressed my opinion. I did not expect I could be fired immediately for that. They did not even wait for the end of the month. It was Friday and they told us not to come on Monday – Čekovský recalls that Friday morning. All reporters agreed that TV newsroom would act in unity as to make it difficult to break their opposition to the management. Kovačič Hanzelová indicated however that several managers decided to break away from the team. Online newsroom was moved to the other side of the building. The management explained it as moving it to the section of new media, although the new media section is actually on a different floor. The communication between TV newsroom and online section became harder. Several high profile reporters were replaced. – RTVS used to be a train which got faster every day, but in January the train stopped and now it’s going back – Čekovský expressed his concerns. Zuzana Kovačič Hanzelová is considered to be one of the best political reporters in Slovakia. She is very popular on social media with many followers. When the crisis broke out publicly, she was one of the first who used the term “normalization in RTVS” in her status on Facebook (“normalization” is a term in Czech Republic’s history used to describe the period following the Warsaw Pact invasion of Czechoslovakia in August 1968 up to the glasnost era of liberalization that began in the Soviet Union and its neighboring nations in 1987 – VSquare). Consequently, she was punished for the rebellion. The management removed her from work on political topics. When Kovačič Hanzelová exposed the behaviour of the management on Facebook, the management commented that it was a joke and put her back to political topics. Nevertheless Kovačič Hanzelová is no longer allowed to do live broadcasting on RTVS. There is already a long record of steps the management took against her. Since January she has not received a special financial reward for overtime, she was not allowed to cover Czech presidential vote, she has been constantly receiving negative feedback from anonymous viewers which the management does not evaluate critically. Being one of the most popular journalists of RTVS, she was receiving similar emails before, however only few of them were relevant and recognized by the management as worth discussing. Nowadays, the incoming feedback seems to be organized and sent from the same IP address, but is nonetheless considered to be important and burdensome. The management also approached her several times asking why she would not leave herself. – They thought that if they break me, the whole newsroom will fall. But it is not my personal fight. There are more people who want to preserve the positive results of several years of our work – Kovačič Hanzelová emphasizes the unity of her colleagues. 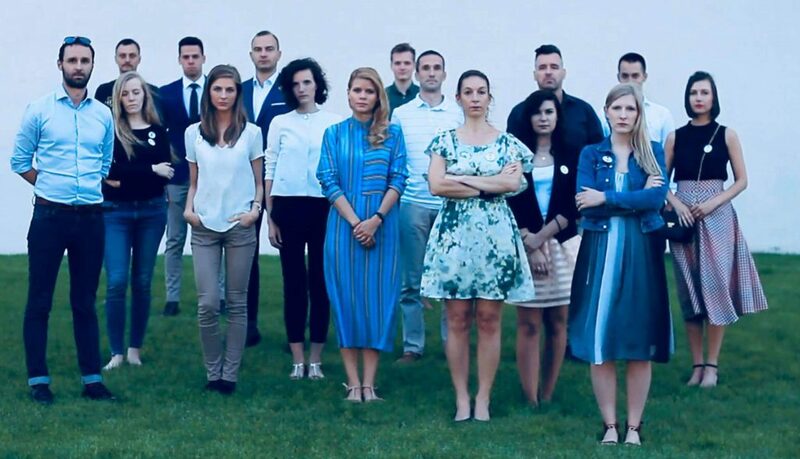 One month ago, Kovačič Hanzelová set up a trade union after the news team could not find other means to bring the management to a meeting. The director general had to meet the team as per the law. It is noteworthy that the main demand of the trade unions was not the resignation of the director general but for the editors-in-chief to be replaced in order to remove conflict of interest and to restore news independence. Reporters no longer enjoy their jobs, their disappointment has become visible and the quality of news reporting has decreased because of lack of experienced reporters. A persistent tense atmosphere has reigned in the newsroom for months. – I don’t think that Rezník wants to re-establish the news standards of the communist regime. His attitude is more to let us work on our topics of choice while making sure we do not upset anybody – Kovačič Hanzelová describes the new approach of the management. – For me, this is an artificial balance of the facts, not critical journalism. A new vision of objectivity is criticized by other reporters, too. Čekovský had his concerns mainly when the editors-in-chief got interested in collaborating with people who are known to write for conspiracy media. – We live in the times of information war. If the editor-in-chief pursues fake news to the public television, there is a problem – the former reporter thinks. – The current management has a completely different vision of objectivity than the previous one. I am not sure what their vision is. They say they want to give an opportunity to anybody to express their opinion. I don’t think every single opinion should be presented in a public medium. We need to be cautious of fake news and extremism. The statement that every opinion in public news should be represented is simply not correct. – Pišťanská compares the change that has taken place in RTVS. Frame from a video recorded by the RTVS team. Click to see the whole recording. On May 31st, 2018, 12 reporters of RTVS news filed a notice of termination. They also published a video explaining the situation to the public. Their 2 months’ notice period is now in force. – The history of public television in Slovakia is tragic. We had to serve the regime instead of people over long periods of time. Our freedom is so fragile, because we have never had a true independent television. There were worse times and better times, people left and came – Kovačič Hanzelová, who is now in her notice period, comments with sadness. – New election, a new management, a new director general, a new vision – the history repeats itself. In the recent years, professionals and the public have truly appreciated our efforts. We wanted to save what we have built. I believed that after 5 years, the mindset of the whole public, including politicians has been changed. I hoped we finally lived in different times.